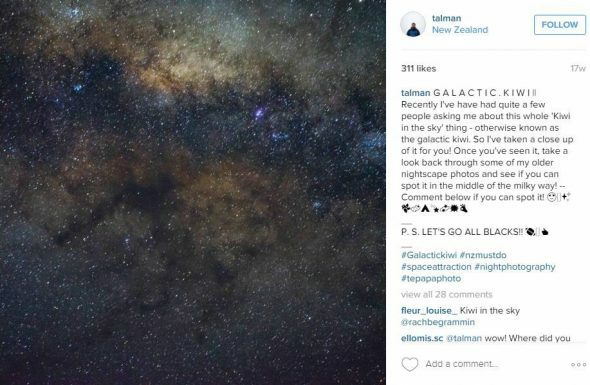 Amos Mann, a Digital Content Producer at Te Papa, finds tensions, connections, and conversations within #tepapaphoto, an Instagram photo sharing project currently underway. We love taking photos. We love sharing photos. And now, more easily than ever before, from across town and across the world, we can instantly show each other where we are, what we’re doing, and how we’re looking. A photo can have powerful personal significance, but really, does anyone else care about your pics? And will anyone be interested in, say, 100 years? Well? Do you have a photo that people will want to see in 100 years? We’ve been asking that question for the last four months, and so far we’ve seen almost 600 answers. Do you have a photo that people will want to see in 100 years? In your caption, tell us why you think it will last the distance. Selected posts appear on a screen in Te Papa’s Ngā Toi | Arts Te Papa gallery via a social media aggregation feed, which can also be seen online at arts.tepapa.govt.nz. 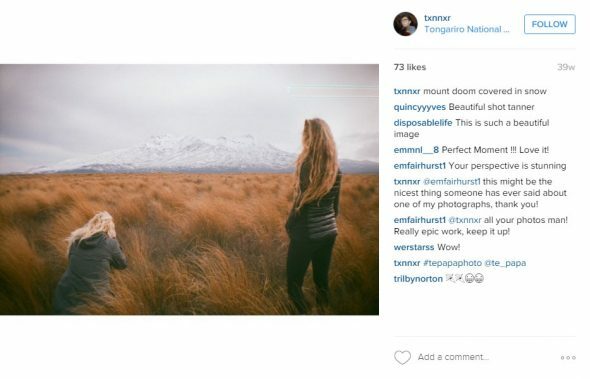 The social media aggregator draws together all posts with the tag #tepapaphoto from across everyone’s accounts. The project team meets every two weeks and makes a selection. We’ll, that’s what we think, anyway. 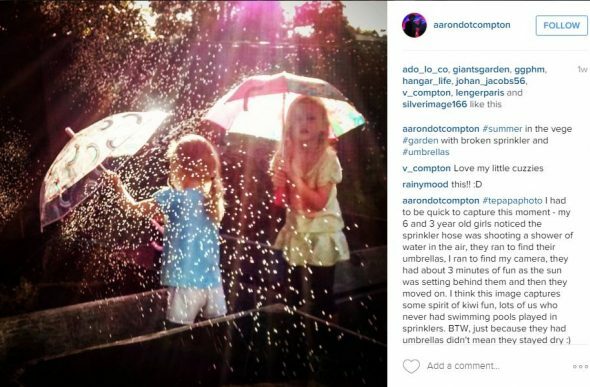 But what kinds of photos are people actually sharing with #tepapaphoto? 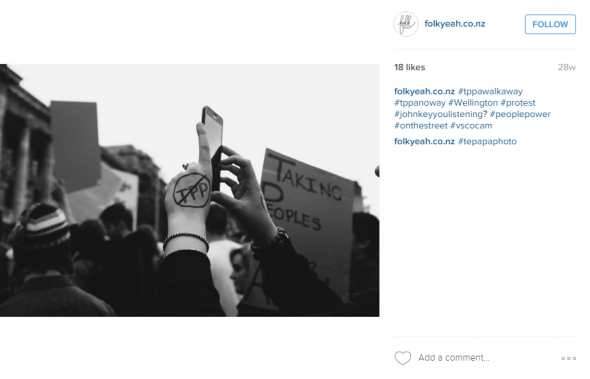 Run a search on Instagram for #tepapaphoto and you’ll see an amazing variety of images. Yet, in this diversity, patterns can be found. 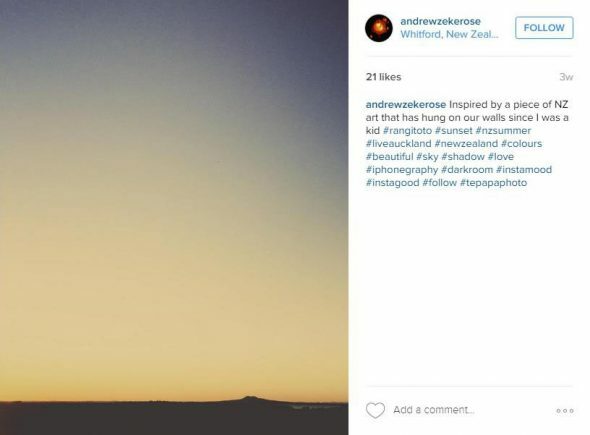 Interestingly, the majority of images tagged are of New Zealand landscapes. Especially common are mountains, beaches, and lakes. 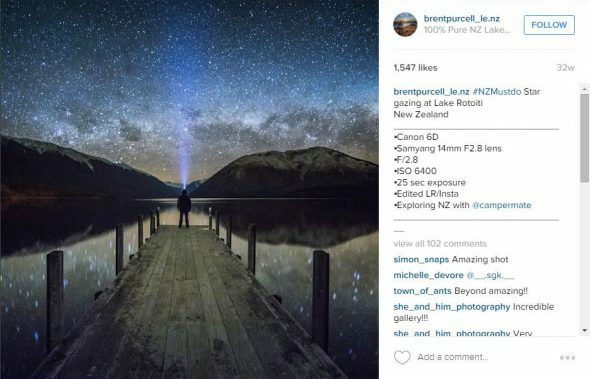 Along with landscapes, we are seeing a number of photographs of the southern night sky. Events that have engaged large numbers of people is another subject found across the posts. 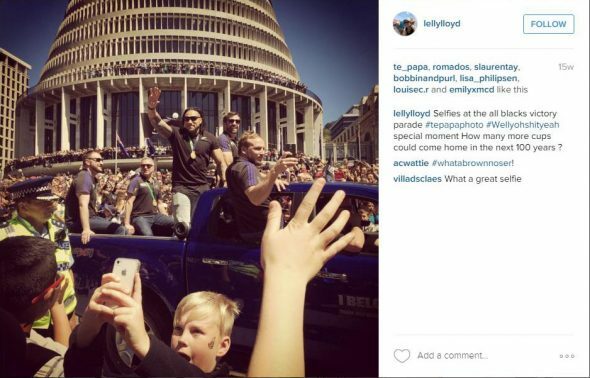 These events include political protests, and some distinctly New Zealand happenings. Through digital, interesting tensions and juxtapositions are enabled. Previously exclusive access to high-quality cameras, darkroom tools, and presentation spaces has become everyday. And so, through digital, tensions, connections, and conversations arise between the personal and the public; the ephemeral and the substantial; the amateur and the expert; and between the instant and the long term. In a way, #tepapaphoto is one of these conversations. Museum visitors, inspired by the tagged posts displayed in-gallery and by the photographs in the book and exhibition, become participants. And as each of their tagged images is enjoyed, liked, and discussed across their social network and beyond, the conversation continues. It’s these kinds of open and ongoing conversations that digital does so well. Photographs can take on new meaning when viewed through the lens of longevity. For this project, with the very long term in mind, we are seeing people engage with their photo collections afresh to find wider significance, beyond the personal. But, curiously, the images that interest me most are those that clearly have great personal significance to the photographer. And, paradoxically, maybe it’s these photos that have some of the greatest potential for wider and long term interest. These are the loving portraits of relatives and the everyday locations with deeply personal histories. Yes, often the stories of these photos are spelled out in their captions, and so maybe I’m reading too much into what the images alone contain. Nonetheless, it’s those photographs that seem to reverberate with a sense of the personal that I find most significant. Others may well find them significant too – long after the caption is lost, we’ll still be able to see how they looked. 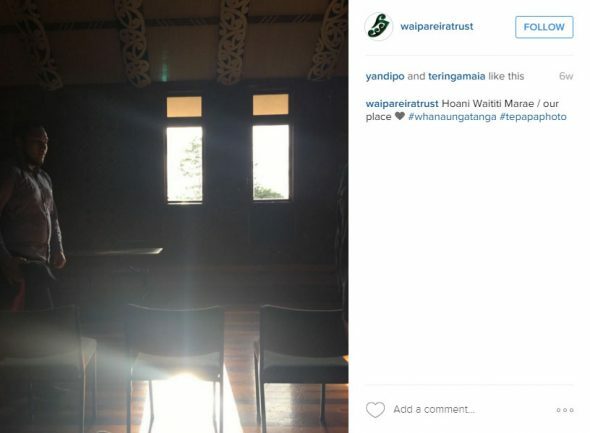 Ngā mihi nui to all those who have shared a photograph with the tag #tepapaphoto, and to all those who will! 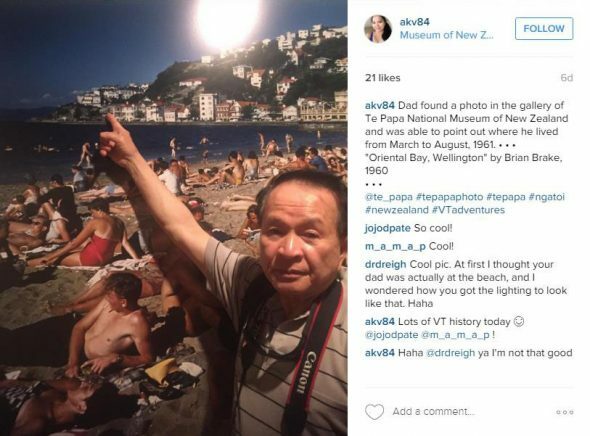 Great thanks to the #tepapaphoto team and the Ngā Toi | Arts Te Papa team for your excellent work on this project. Many of the key ideas in this blogpost, and the concept for the #tepapaphoto project, were inspired and informed by the writing of Athol McCredie in the introduction to his book New Zealand Photography Collected. Many thanks Athol! 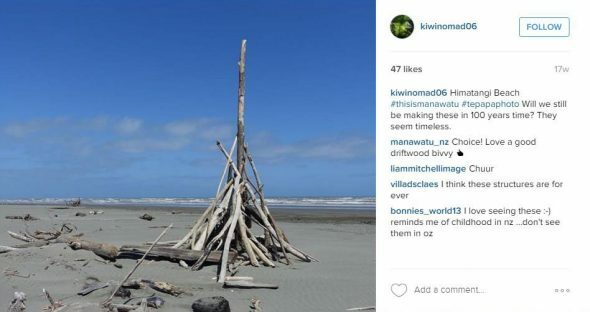 Kia ora koutou and especially Amos, there is so much about this blog that I love, thank you. I’m really interested in the large number of landscape posts. It makes me wonder how much will the landscape have changed in 100 years time and do we look back at the landscape of 100 years ago? A beautiful moment of serenity is often what we capture because in that moment we feel a certain type of magic, but it might not be what we choose to see in 100 years. I’m particularly interested in the two images where people are being captured capturing the moment. The idea of being part of a movement or moment but having to snap it up and share it is a powerful thing for us today. And of course the selfie has changed the way we see ourselves and others. Thanks Amos for this wee whakaaro and to Athol for this absolutely stunning exhibition.